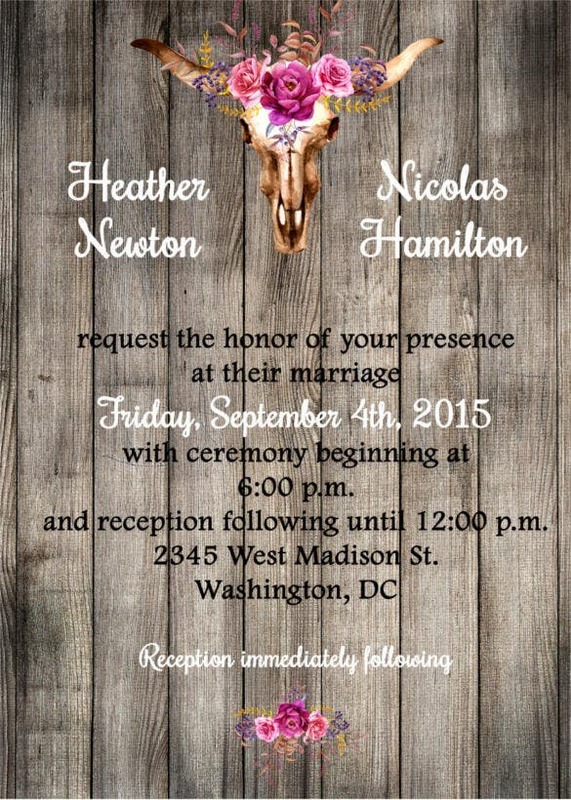 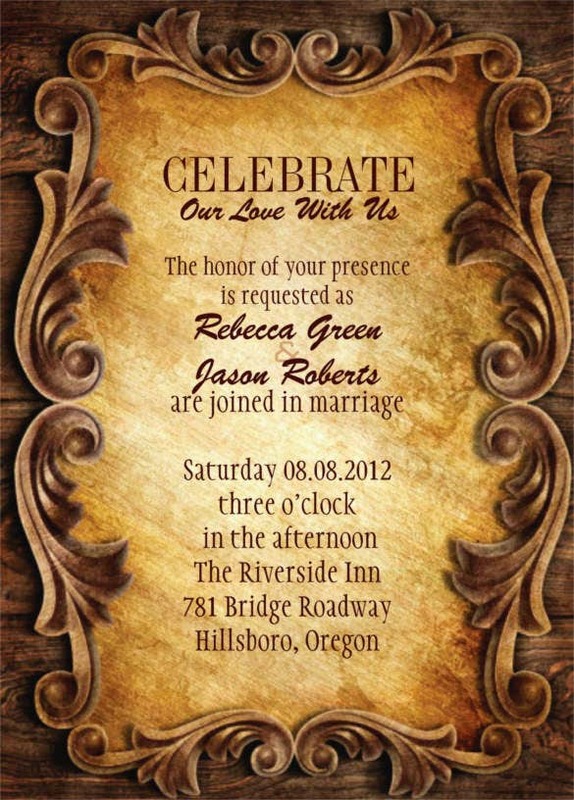 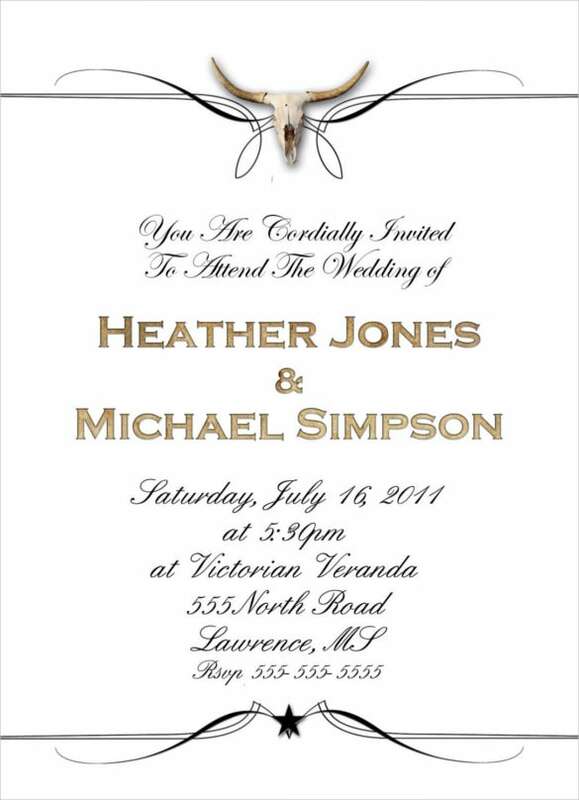 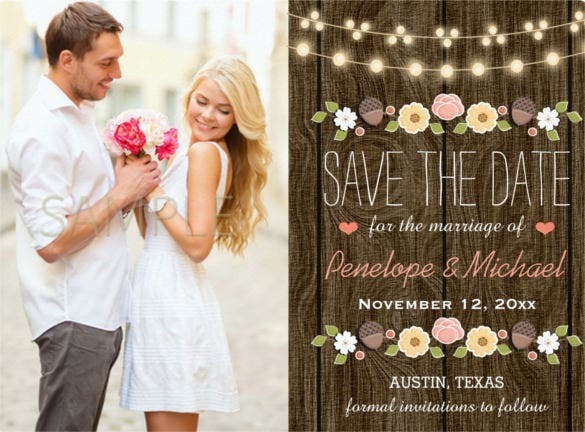 28+ Western Wedding Invitation Templates – Free Sample, Example Format Download! 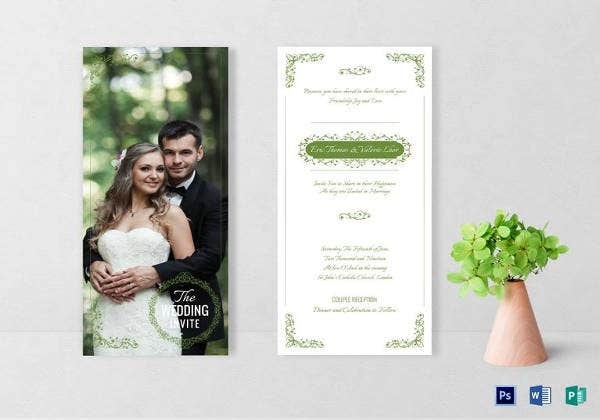 Western wedding templates may be identical with normal wedding templates in multiple ways but there are certain difference – the first and foremost being the choice of words. 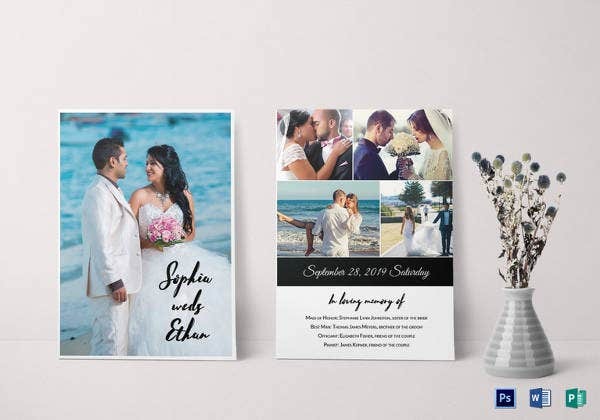 The choice of words in traditional or normal wedding templates is more aristocratic and sophisticated as compared to that of the Western templates, which are more direct. 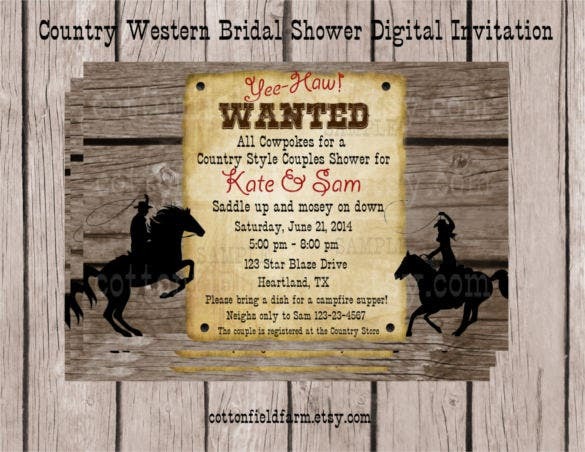 For example, a western wedding invitation template can start with a clause “Wanted!” stating the name of the persons invited for the wedding. 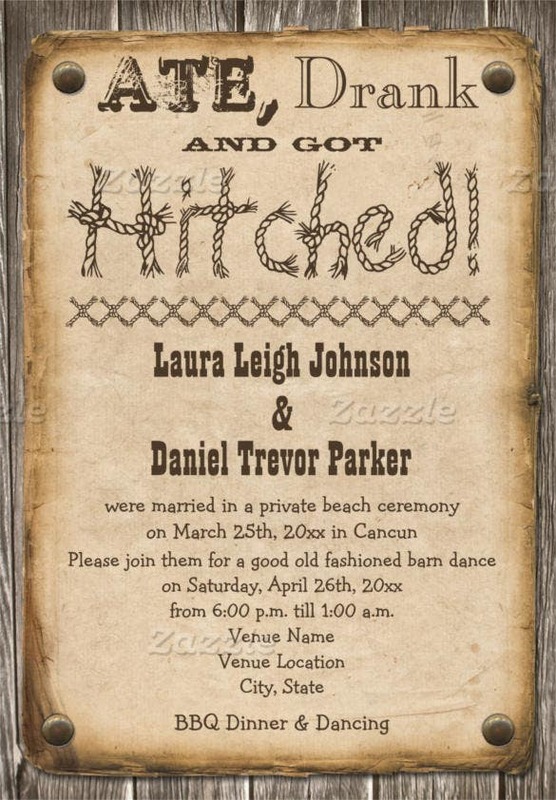 Apart from that, the design patterns do differ to a certain extent – especially the choice of shades and themes. 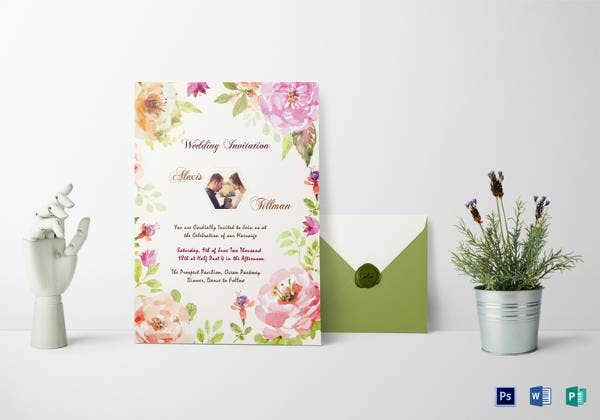 These templates, though, are designed in the form of PSD.You may also visit for more vintage wedding invitation. 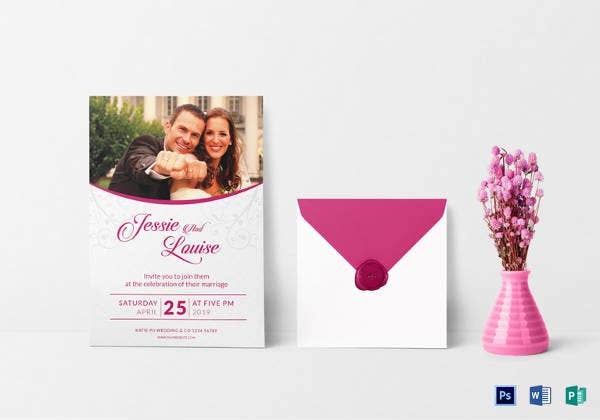 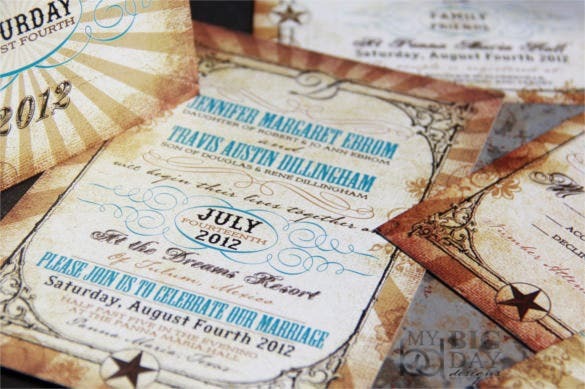 Make your wedding invitation look peppy with an array of colours with the western style wedding invitation theme. 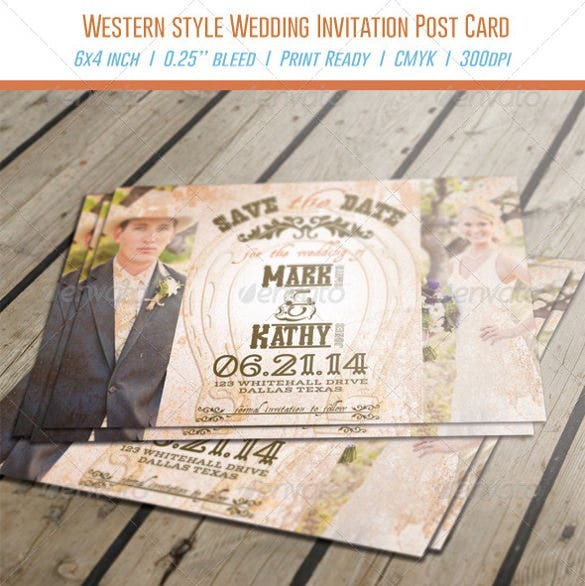 If you have a thing for the western styles, this wedding invitation will just be fit for your tastes. 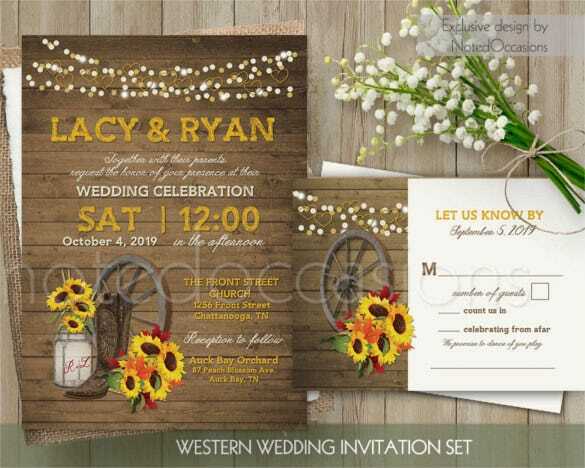 If you want your guests to look at your wedding invitation with an air of seriousness and in high regards, use this sophisticated elegant western vintage wedding invitation theme that has a rusty and elite look about it. 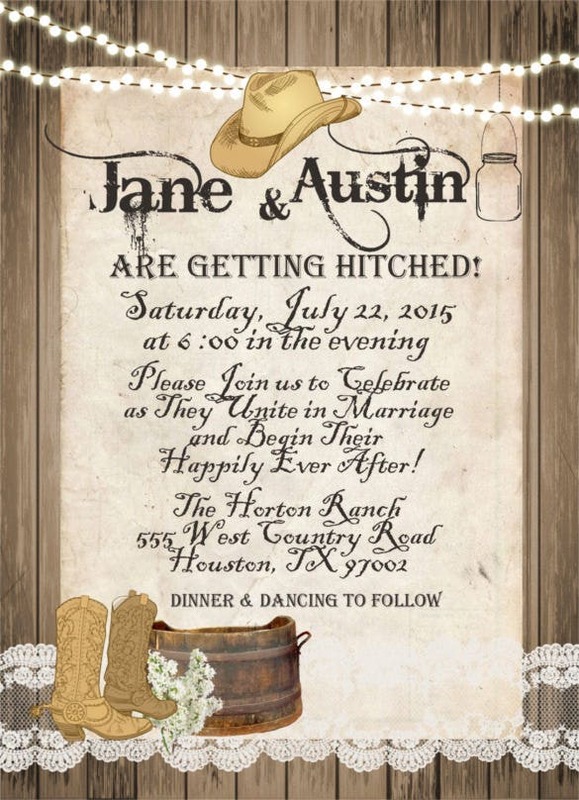 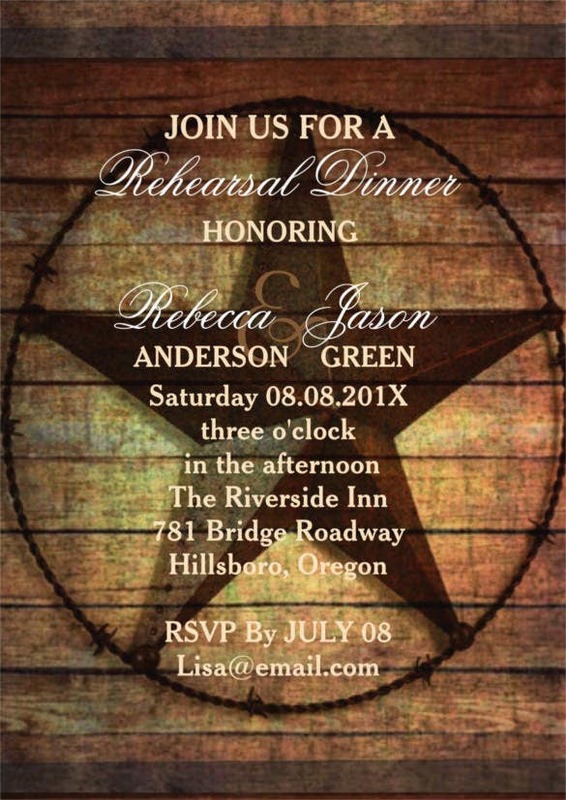 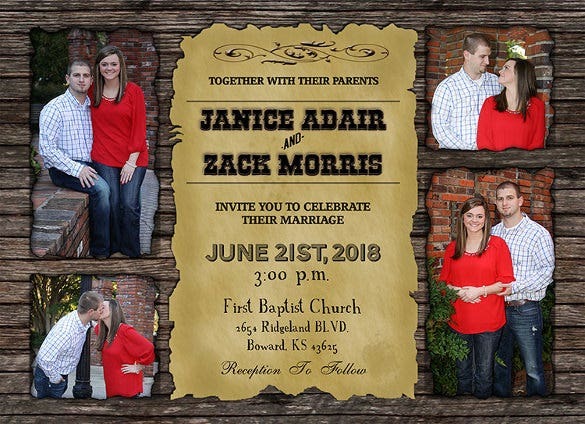 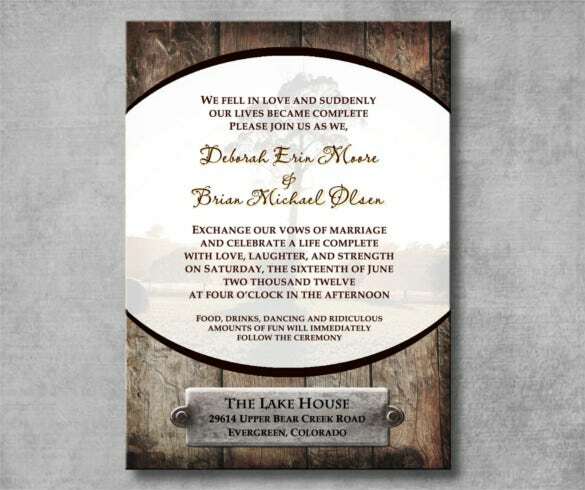 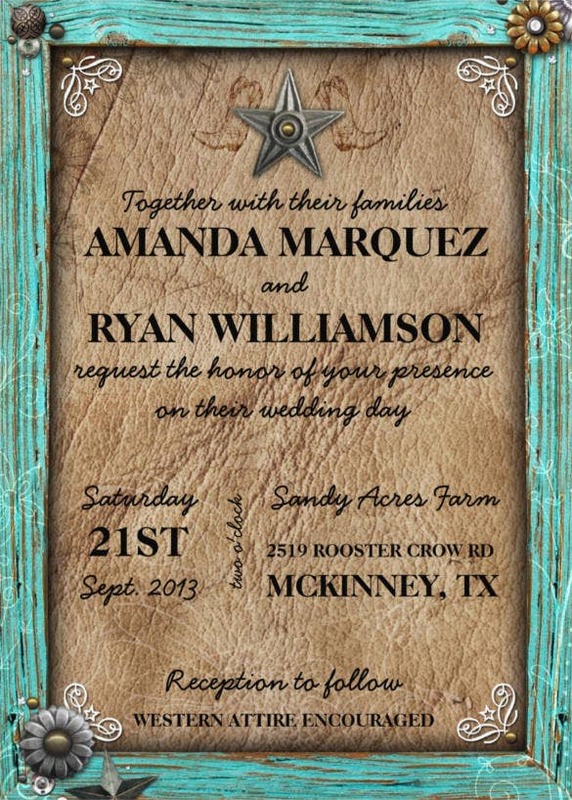 If your wedding ceremony is around a farmhouse or a ranch or even if just at the wild countryside, you can mention it in a funny way by using this western cowboy cowgirl style wedding invitation format. 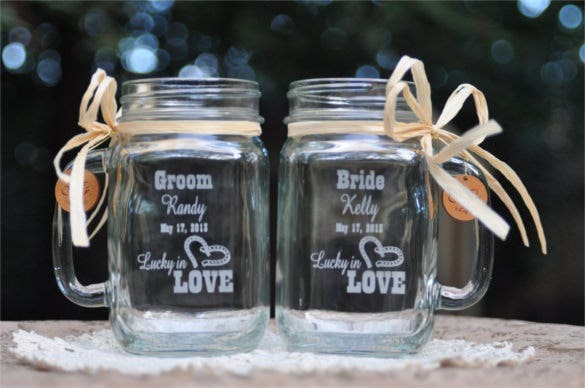 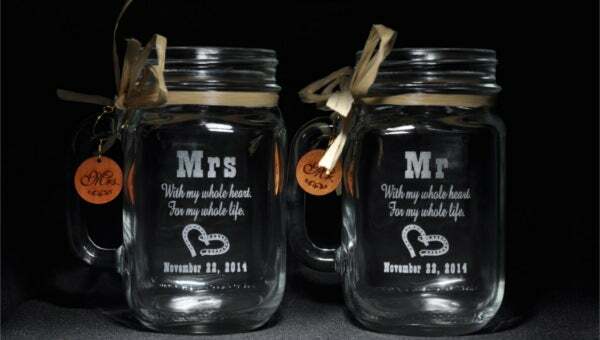 If you want to make your wedding invitation look a little different from others and if you want to convey a message of love and belonging through it, use this lucky in love Mason jar mugs western wedding template that looks very lovable! 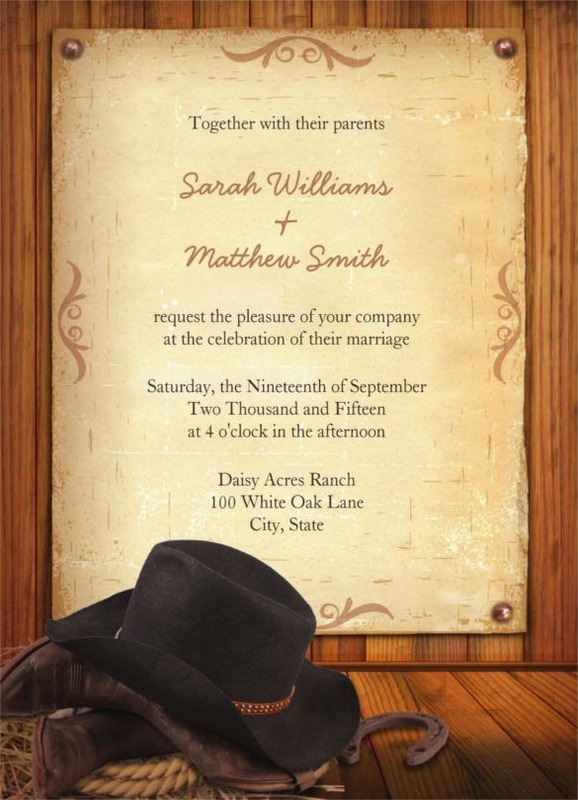 Make your wedding invitation reflect the stylish ways of the west with this cow girl western wedding invitation. 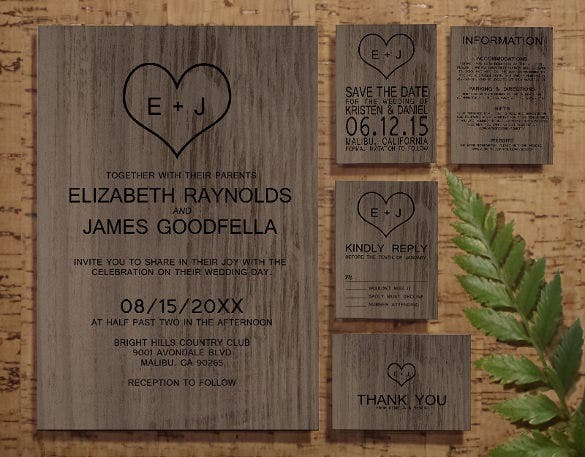 Short and crisp, this wedding invitation is sure to win the hearts of your guests. 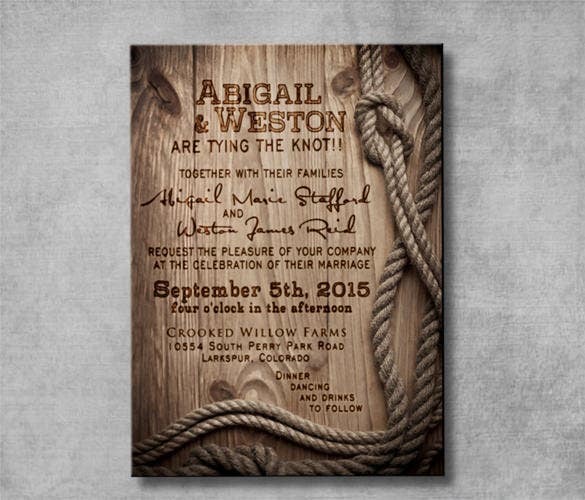 To add a tinge of rustiness to your big wedding, use this customizable style western wedding invitation that features ropes and wooden textures thus making the invitation look western country-style. 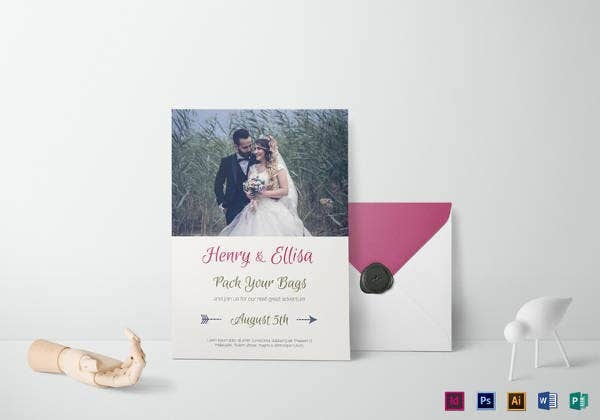 This theme looks quite different from the rest and is unique in its own way. 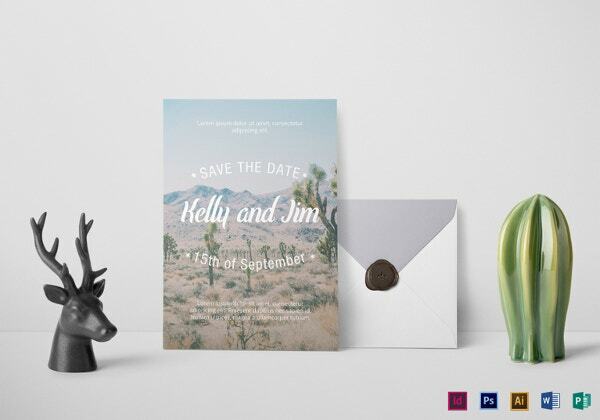 If your wedding is going to be a grand affair, make your wedding invitation look the same way with this vintage western style wedding invitation theme. 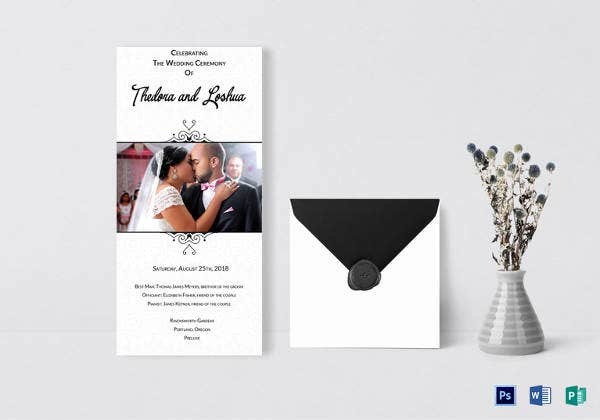 With an elegant look about it, this invitation is crisp and just perfect. 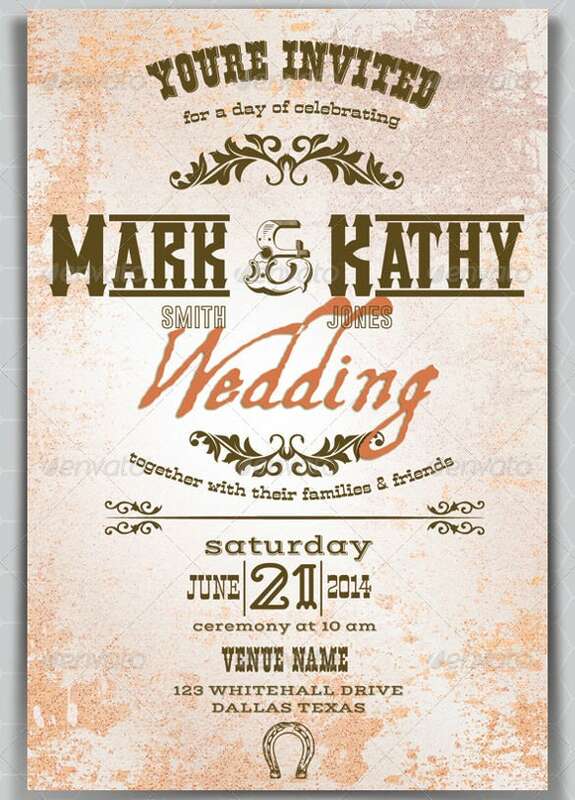 Customize your wedding invitation by adding your photos to it with the help of this western vintage Photoshop wedding invitation theme. 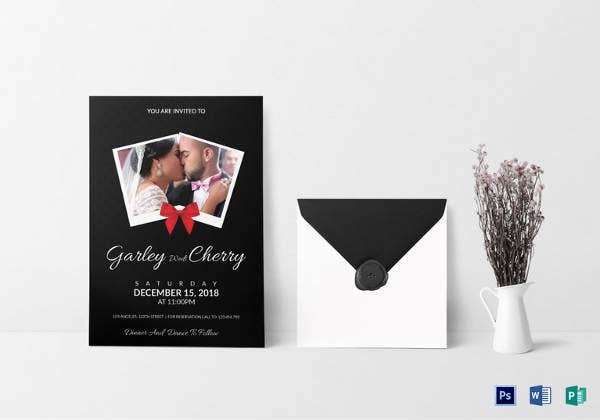 You can add up to three to four of your photos in the invitation thus giving it a personal touch and making it all the more pleasant. 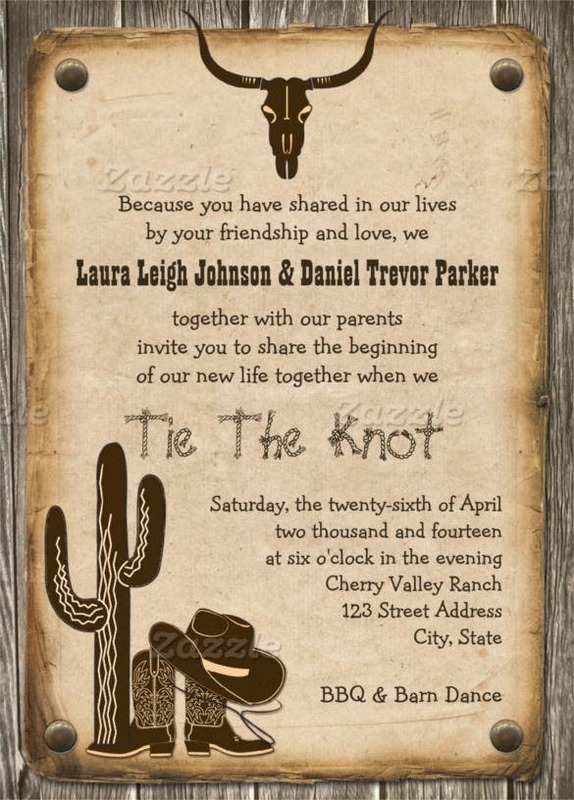 If you are planning to get married somewhere around the deserts in a private ceremony, make your wedding invitation look rusty and attractive with the help of this rustic wooden western style wedding invitation theme that features cacti and cowboy hat thus indicating the backdrop of the wedding. 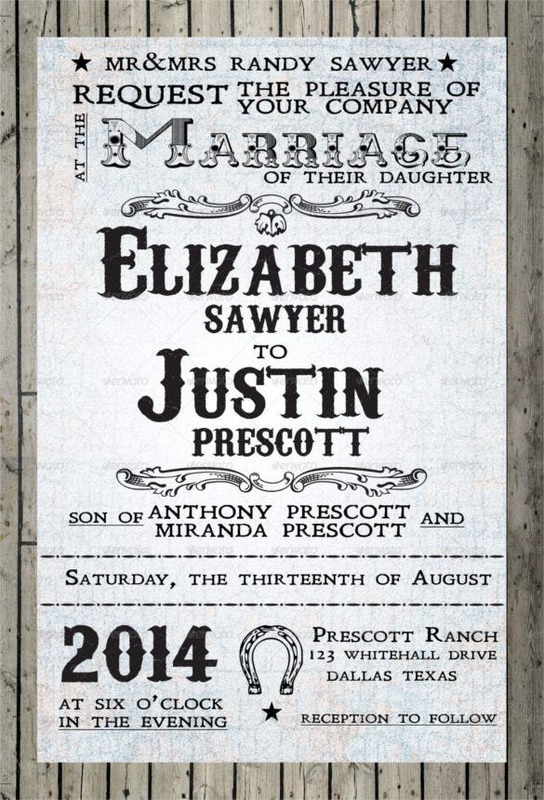 Tell the story of your wedding in a short and simple manner with the help of this printable rustic western wedding invitation that looks graceful and enthralling as well as rustic at the same time.